During the PVA Annual Convention at MariTrends 2014, held January 18-21 in Houston, members of the Passenger Vessel Association (PVA) elected Terri Bernstein, BB Riverboats Newport, Ky., as PVA President for 2014. Dave Anderson, Fire Island Ferries, Inc., Bay Shore, N.Y.
Margo Marks, Beaver Island Boat Company, Charlevoix, Mich.
Captain Terri Bernstein is Vice President of Operations of BB Riverboats in Newport, Ky. This third-generation, family-owned business is the oldest riverboat company in the Greater Cincinnati Ohio Region. Founded in 1979, by Terri's grandfather, Ben Bernstein, and her father, Alan Bernstein, BB Riverboats owns three vessels that offer sightseeing cruises, dinner cruises and specialty cruises. Her company also operates an off-premise catering company. BB Riverboats has been a member of PVA since 1979. Dave Anderson is General Manager/Director of Operations of Fire Island Ferries, Inc., Bay Shore, N.Y., on Long Island. The company provides passenger service, freight service, and water taxi service to Fire Island communities since 1948. They operate 24 subchapter T and K vessels ranging from six to 400 passengers. Fire Island Ferries, Inc., has been an active member of NAPVO and PVA since its inception. 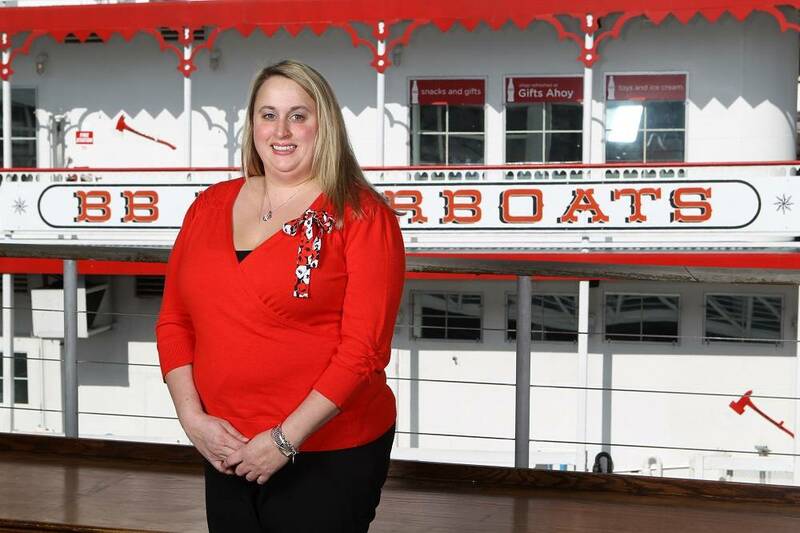 Margo Marks is President/General Manager of Beaver Island Boat Company, Beaver Island, Mich.. The company has provided passenger service, vehicle service, and freight service, between Beaver Island and Charlevoix, Mich. since 1984. The first ferry service to the island began in 1890. The company under its present ownership operates two subchapter K vessels with capacity up to 294 passengers and 16 vehicles. The ferry route is 32 miles long and takes approximately two hours. Beaver Island Boat Company has been a member of PVA since 1990. Gus Gaspardo, Padleford Packet Boat Company, St. Paul, Minn.
David Moseley, Washington State Ferries, Seattle, Wash.
Jeff Whitaker, Hudson River Cruises, Inc., Kingston, N.Y.
Bob Bijur, Island Queen Cruises, Miami, Fla.